Traces the development of philosophical thought from the seventeenth century to today, and explores why questions of the soul figure so little in the minds of present-day technocratic intellectuals. Wylie is a genius. His prose is explosive, combative and heretical. He inveighs against society, government and the state of man in a hightly entertaining style. 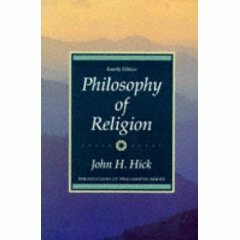 A contemporary introduction to the main topics in the philosophy of religion. Profoundly erudite, yet easy to read, this book is a provocative mind-stretcher. 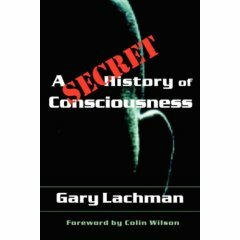 Gary Lachman, the author of the highly engaging Turn Off Your Mind, has, with this new work, again written a very lively account of a part of modern intellectual history. This book traces the development, from the late 19th century up to our own time, of the idea of the collective transformation of human consciousness, both the evidence of such evolution in the past, and speculation about future evolution. A fascinating array of thinkers is presented, at a pace that is fast but not superficial. Even readers who are already familiar with these thinkers will find much to engage their minds and send them off into profound reflections of their own. One important measure of this book’s success is that it has inspired this reader to go directly to the works of the authors covered. Philosophy is dominated by two extreme attitudes to reason. 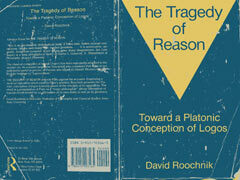 The first, following Descartes, finds the paradigms of reason in mathematics and applied science. The second, championed by Derrida and Rorty, holds that reason is decisively over-rated and therefore in need of deconstruction. The Platonic conception of “logos” offers a third way, a tragic conception that is able to affirm the value of reason as well as to situate it properly amidst the contingencies of human life. The book aims to speak, not just to Plato scholars, but to anyone who, because of the overwhelming presence of the Cartesian attitude, has called into question the goodness of reason itself. Rather than abandoning reason and adopting the deconstructive stance which is current among many philosophers popular today, this book offers a form of Platonism as a coherent and viable middle way. This book should be of interest to students and lecturers in classics and philosophy. We need a history of truth–though until now no one has tried to write one. We need it to test the claim that truth is just a name for opinions–produced and reproduced–that suit the demands of society or the convenience of elites. We need to be able to tell whether truth is changeable or eternal, embedded in time or outside it, universal or varying from place to place. We need to know how we have got to where we are in the history of truth–how our society has come to lose faith in the reality of it and lose interest in the search for it. 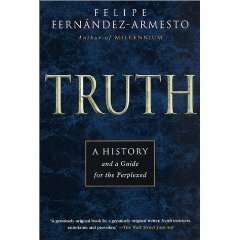 We need a history of truth to illuminate the unique predicament of our times and, Felipe Fernandez-Armesto argues, to help us escape from it. Fernandez-Armesto shows how–at different times, in different societies–people have tried to distinguish truth from falsehood; he also exposes the basic human assumptions about truth that have informed and determined these truth-telling strategies. All truth-finding can be reduced, he argues, to a few basic types, which have always been available, but which have been combined in varying proportions. These types are still useful. They can help us survive contemporary uncertainty and rebuild life after doubt. This little book takes on an enormous subject and makes it understandable to anyone. It’s a work of unusual audacity and tremendous scope; it is short, clear, readable, opinionated–but uncompromising in raising big issues, using rich language, and embracing a vast range. It leaps from truth-telling technologies of earlier societies to the private mental worlds of great philosophers, from the building of the pyramids to cubist art, from spiritualism to science, and from New York to New Guinea. The book is put together most wonderfully using ample references to original text. The idea is not a new one. Greek philosphy derived many if not most of its early ideas from what are today loosely grouped together as Zoroastrian philosophies. Anyone familiar with both systems of philosophy would appreciate the depth of insight and the thoroughness of it references (mostly in Greek). I recomend this to all serious history and philosophy buffs. A brilliant and lucidly argued case for the influence of Asian thought and religion on Greek philosophy. Written in 1971, this book prepared the ground for subsequent studies of the relationships between ancient Greece and her neighbors. West’s skill and sensitivity as a translator and interpreter is impressive, his command of such a variety of ancient languages and texts just plain intimidating. But he writes clearly and makes his points in a way accessible to students and non-specialists (though there is a fair amount of untranslated Greek, as was the custom a few decades ago). Anyone interested in Presocratic philosophy needs to read this book–and not just for West’s arguments for eastern influence, but also for his valuable and intelligent commentary on the texts themselves. West’s study will also be of great interest to students of ancient cultural exchange and the history of ideas and religion. It seems odd to me that some find fault with this book for the spirit and execution of its daring and groundbreaking explorations. West is anything but pedantic and anything but careless. Indeed, he is a fine example of that rarest of birds: the masterful scholar who is also a creative thinker. 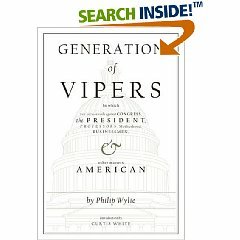 His book was written at a time when many in academe still held to a fiction of ancient Greece as a self-created world sealed off from “foreign” influences. Perhaps a final relic of the colonial mentality, who knows, but something that had to be demolished. West’s book was badly needed–a breath of fresh air and a foundation for much important work in the years to come. Its staying power is testament to the quality of his work. The fact that it’s still an exciting and powerful read is testament to his genius. To paraphrase Heraclitus: One scholar is worth ten thousand to me, if he’s the best.